If you saw the movie based (loosely) on this story, cool. Now forget that, because the story is way better. And way more sobering. Robert Neville's journey is a long, lonely one, and also not a very hopeful one. The ending is unexpected, at least for me, but not unpleasant. It suits the feel of the story. I felt reminded of Stephen King as I listened. 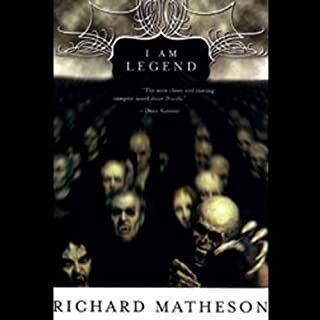 The narration is excellent as well, and I thoroughly enjoyed listening to Robertson Dean's performance. There isn't a lot of conversational dialogue, so it stands out when there is, and is performed superbly. Highly recommended for a quicker listen, and I will look for other titles by this narrator as well! I've loved this novel for nearly 30 years, and have re-read it many times. However, upon hearing that Michael C. Hall was narrating, I had to have a listen. He makes the characters come alive, especially Jud, and wow. I listened to the whole thing, completely ignoring my family for several days, just to finish it 😂 Michael C. Hall needs to narrate all the things. 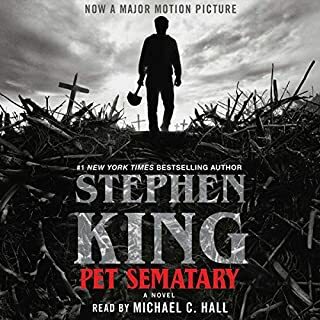 Pet Sematary comes from a stage of Stephen King's writing that was very thoughtful and thought provoking. Some of my favourite novels of his are from around the same time as this one. It is haunting and sad, so sad. A story I know will make me want to weep, but will read it again anyway. Chilling and so real. I can't reccomend this story enough on its own, but the added bonus of the amazing narration makes it one not to miss. The content was incredibly enlightening, and presented in an easy listening manner. I enjoyed the narrator's voice and way he presented the material. 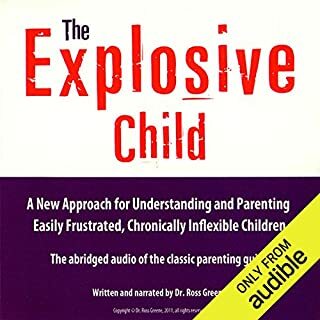 I have no doubt that the strategies outlined by Dr Greene will prove very useful for me in dealing with my own explosive child, as well as my other, non-explosive children. The plan outlined is something useful for anyone who is presented with a problem to solve with someone else, and the value of avoiding emotional explosions can be seen from the very beginning. Highly recommended!